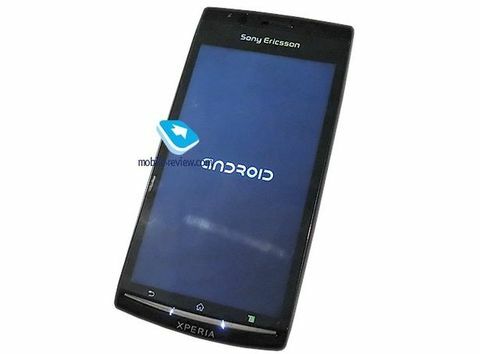 Images of the latest Sony Ericsson Xperia model, the X12, have leaked online, with Russian bloggers giving it the once over and revealing what it’s wearing under the hood. Codenamed Anzu, it features a 4.3 inch LCD display running at an 854 x 480 resolution with a 800MHz Qualcomm MSM7230 chip powering the show, the same as can be found in the HTC Desire Z. As for the OS, it’s currently stuck on Android 2.1, with 2.2 due for inclusion before its retail release. Sorry for those hoping for a Gingerbread smartphone, but you’re going to have to wait until some time in 2011 until the X12 makes that particular jump. No news on pricing or release yet, or even an official name yet, but we’ll keep you posted on whatever comes of the Anzu. For now, enjoy a few more snaps of the phone below.